The LSiM705 fills your world with its wide, dynamic soundstage and its capability to effortlessly achieve truly staggering volume levels. 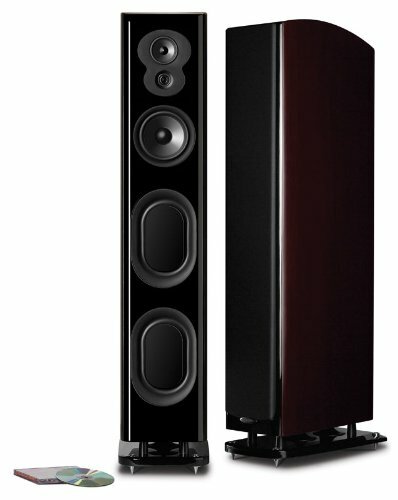 The LSiM705 features the same component complement as the larger LSiM707 loudspeaker, on a slightly smaller scale. It includes a 5 1/4-inch mid-woofer of lightweight super cell aerated polypropylene for smooth blending with its dual 5x7-inch Cassini oval subwoofer radiators enhanced by Polk's patented PowerPort bass venting. Its 1-inch ring radiator tweeter, a feature usually found only in exotic speakers, reveals pinpoint details for realistic imaging. Use the LSiM705 in midsized rooms where you want the full-on impact of the legendary Polk sound.